The Gateway Nursery and Preschool was established in 2008. The Ofsted registered nursery and preschool was located in the Gateway Centre in Perry Road Harlow and could accommodate up to 62 children between the ages of 3 months to 5 years. Providing a sustainable business for local people to work in. Providing high quality affordable childcare services in an area of Harlow recognised by the local authority as being in ‘high’ need’ of such services. Advancing the education of children by providing a safe place for children to learn and develop in. 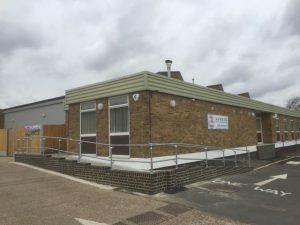 In January 2016 the nursery relocated across the road to its current home, a 10,000 square foot purpose refurbished and resourced premises in Perry Road, Harlow. The new much larger premises allowed the nursery to increase the number of children it could accommodate at any one time to 124. In February 2016 the nursery changed its trading name to the Akhter Early Learning Centre Nursery and Preschool. The name change providing a link to the nursery’s owners, the Akhter Educational Foundation. In September 2016 the Akhter Early Learning Centre Nursery and Preschool was rated a ‘Good’ provider by Ofsted.